Just over a week ago the girls and I returned from our first experience of a Royal Caribbean cruise and we had a blast. I’ve already written about the Back to the 80s festival at sea which we were invited to review with Lisa from Travel Loving Family and her son. 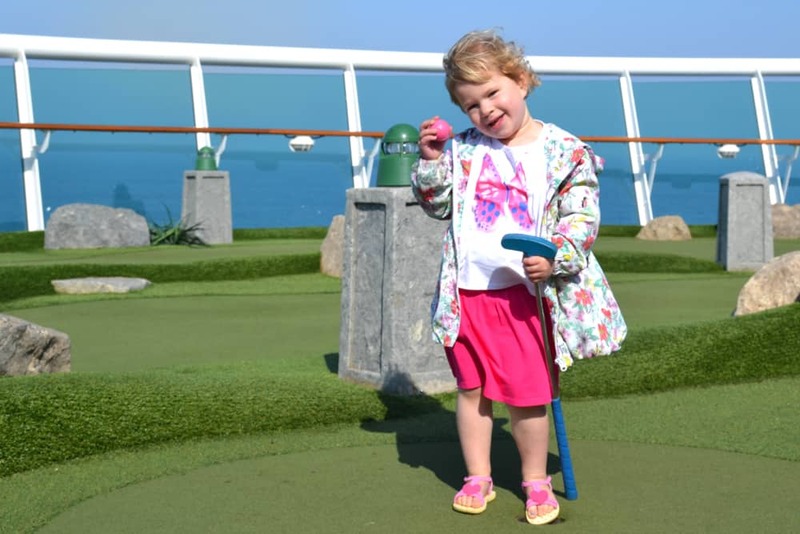 But I wanted to share a bit more about our experience of Navigator of the Seas with kids. Navigator of the Seas with kids: a family cruise ship? 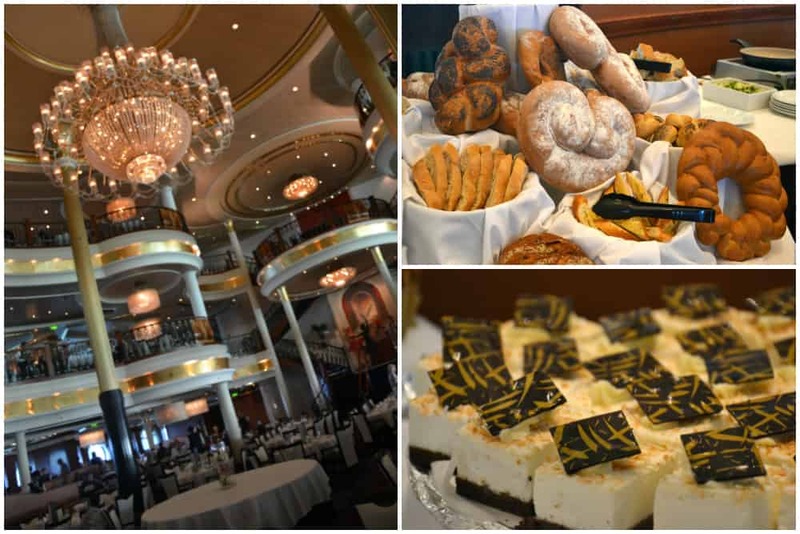 Was I wowed by the Navigator of the Seas cruise ship? No. But let me put that into context; I think it is a beautiful ship with lots of great features. However, Navigator was 16-years-old in 2018 when we sailed on her and has been followed by many other Royal Caribbean ships that have progressively targeted themselves more at the family cruise market. Added to the popular activities like ice skating in Studio B, the rock climbing wall, sports court and Flowrider surfing simulator are colourful splash parks, zip-wires, enormous water slides, escape rooms, family lounges and incredible suites to share with your kids. Knowing this, I couldn’t help but wish I was experiencing these newer features as well. It’s something for parents to bear in mind when choosing the best Royal Caribbean cruise ship for families. That said, Navigator of the Seas is a classy ship that has aged well and was so easy to get around with the girls. We rarely waited longer than a few minutes for a lift. Plus the signage and interactive maps in all the elevator lobbies were brilliant for helping us find our way. Of course, it also has plenty of impressive interiors that you just have to stand and admire for as long as the kids will allow. Our Deck 2 forward ocean view stateroom (#2338) was in a great location. 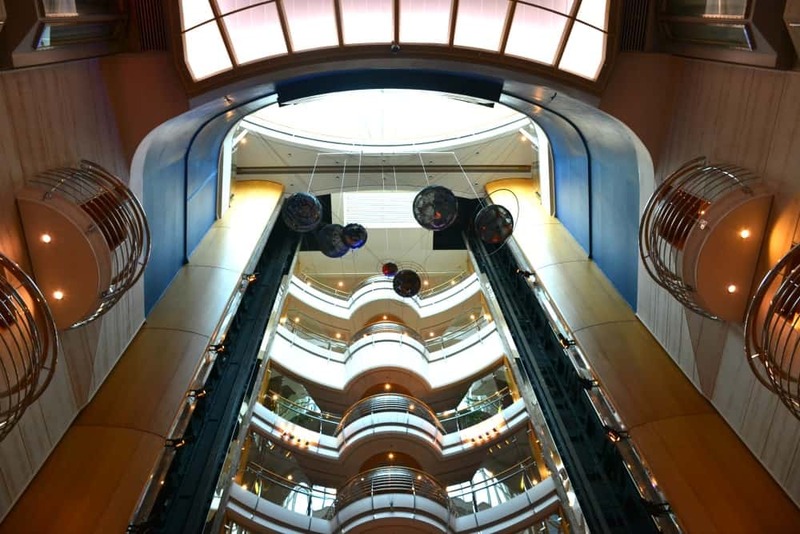 We were directly under the Sapphire dining room on Deck 3 and within minutes from Deck 11 with the pool and Windjammer buffet, and the kids clubs and arcades on Deck 12. It really didn’t take us long to get anywhere that the girls wanted to go. Our stateroom had a large porthole over the master bed and two bunk beds that pulled down from the ceiling at night. I very much appreciated having the king-sized bed all to myself and the girls thought it was a great adventure to both sleep on a ‘top’ bunk. The room was spacious enough for me with two young children but I can see how it might be a bit crowded with teens. The wardrobe space might have been challenging if it had had to store four grown people’s formal and day wear. Getting interconnecting cabins might be better for families with older kids. This would also be the only option for families with more than two children as well. We also spent quite a bit of time in Lisa’s balcony cabin on Deck 8 for pre-dinner drinks with the sea breeze on our faces. As well as having a balcony her room was longer, giving more living, bathroom and storage space. We had plenty of inclusive dining options all day from the Sapphire formal dining room to the Promenade Cafe and the Windjammer buffet. It may sound backwards but formal dining was definitely my preference with the girls as it was so much easier to sit down and enjoy table service than take them both up to the busy buffet. When we did do this it would often take 20 minutes to fill their plates, find a table, fill my plate and then for me to sit back down with the girls. Side note: cruising solo with two kids aged five and under is not for the faint-hearted! The selection of food was wide, as was my only choice of clothing by the end of the week. The girl’s favourite meals were burgers, hot dogs, spaghetti and pizza. I enjoyed Indian dishes, seafood and salads. Oh, and the desserts! The mousse served daily in the buffet was delicious and the girls had self-service ice-cream coming out of their ears by the end of the week. You can also book a table in the Chops Grille steak house, Givanni’s Table for Italian delights, the Sabor Mexican restaurant and Izumi for Japanese cuisine. Another paid option was the Indian lunch in the Sapphire dining room. Lisa and I decided to stick with the free dining options and sit down for dinner with the kids at our 6pm dining time most evenings. If the kids were peckish before then we took them to Windjammer which served snacks and small meals between 3.30pm and 4.30pm, or the Promenade Cafe which was open 24 hours a day. I’ve already mentioned that Navigator of the Seas activities lack some of the fun features you’ll find on newer ships but we didn’t have a problem filling our three sea days. My girls enjoyed playing mini golf and taking a dip in the two pools, side-by-side on Deck 11. These also had small, shallow splash areas fenced off from the main pool. If you’re wondering does Navigator of the Seas have water slides or a dedicated kids pool I’m afraid it doesn’t. Over the week the girls became rather partial to floating about the four toasty jacuzzis with views of the large poolside cinema screen. There was also an adults only pool and jacuzzi in the Solarium on Deck 11. I looked at this longingly a few times during the cruise but didn’t get enough ‘me time’ to indulge. Something that I loved was that you could borrow children’s life vests from the life guard station by the main pools. The girls thought this was fun and I was able to avoid blowing up their arm bands each time we went for a dip. There are daily competitions on the Deck 13 sports courts, like volleyball, table tennis and football. 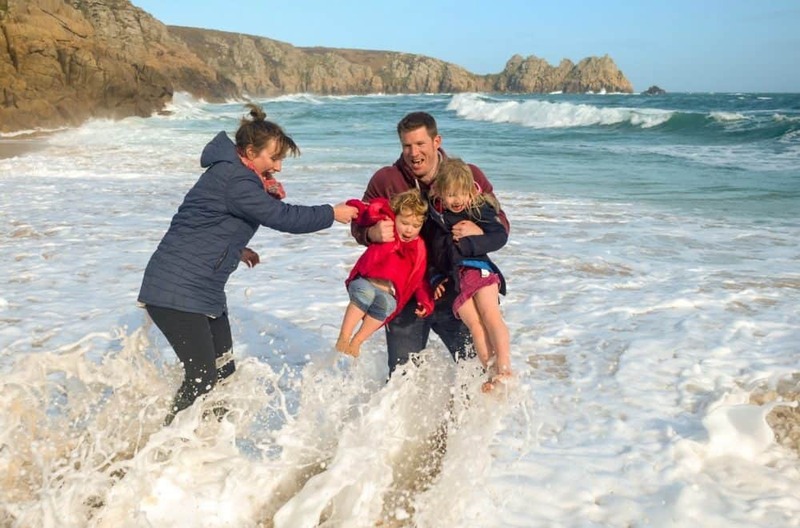 Children aged six and upwards could tackle the rock climbing wall and anyone over the height of 1.32m can have a go at boogie boarding on Flowrider or stand up surfing if they are 1.47m. Neither of my girls were old enough, so they stuck to the pool, arcade and kids club. Lisa and I braved the climbing wall for research purposes but sadly missed out on Flowrider because the conditions were too rough during our sailing back to Southampton. There are a few Royal Caribbean family pleasers that we weren’t able to experience on our cruise because of the packed Back to the 80s festival programme. Ice skating in Studio B, the carnival parades on the Royal Promenade and West End-style shows in the theatres are all experiences I know my girls and I would have loved. We’ll have to save those for our next Royal Caribbean cruise. Navigator of the Seas’ kids clubs were open from 9am until 2am if we needed, with a two hour break for lunch on days at sea. On port days you could leave your kids from 9am until 5pm. After 10pm there was a charge of $7 per hour for children aged three and over. Lisa and I used this several evenings to make the most of the nighttime entertainment. Activities for the Aquanauts (three to five-year-olds) ranged from crafts and games to face painting and treasure hunts. There was also Royal Babies and Tots for under three-years-old (chargeable by the hour), plus the Explorer programme for six to eight-year-olds and Voyager programme for nine to 11-year-olds. Baby loved Aquanauts and regularly asked to go. Tot was more clingy at drop off (she does this at school too) but the staff were great about it. You have the option to take a pager, so I was reassured that if Tot wasn’t just playing up for my benefit then I’d get bleeped. As is the norm, the team were happy to report that Tot was having great fun within moments of me leaving. An important thing to note about Aquanauts is that kids must be fully potty trained. Staff can’t help children go to the toilet and pull-ups aren’t allowed. We had a few slightly dirty knickers to deal with after picking up Baby as she hasn’t quite mastered wiping! Children also aren’t allowed to take in comforters or toys. I know this doesn’t suit everyone, especially when children feel better cuddling something familiar when they get tired, so it’s best to talk this through with your kids before your cruise. I think on any cruise ship the stars of the show are the crew. They were faultless on Navigator of the Seas. Orlando, our cabin steward on Deck 2, looked after us wonderfully with a cheery smile and a kind word for the girls every time we saw him. Baby was thrilled when he adorned our cabin with balloons and birthday decorations after he found out she’d turned three the week before. And Tot cuddled up to each of the lovely towel animals he left for us at night. In the dining rooms we were greeted and the kids were made a fuss of. Even when they got a bit bored a started to run riot there was nothing but smiles from the waiters as Lisa and I tried to restore order. I wouldn’t hesitate to go on another Royal Caribbean cruise based on our experience of Navigator of the Seas with kids. I’d even book this ship again if the itinerary was right. But part of me was still lusting after those newer features. My girls enjoyed every second and keep asking when we are going on another cruise. They are well and truly hooked! In my opinion Navigator of the Seas is a good ship if you have young, potty-trained kids. They will be easily entertained by the pool, mini golf and kids club. If you’re onboard a regular Royal Caribbean cruise, rather than a chartered cruise like us, then the carnival, skating and shows would be the icing on the cake. However, I think teens might quickly get bored. Navigator of the Seas doesn’t quite cater for families with kids of all ages. 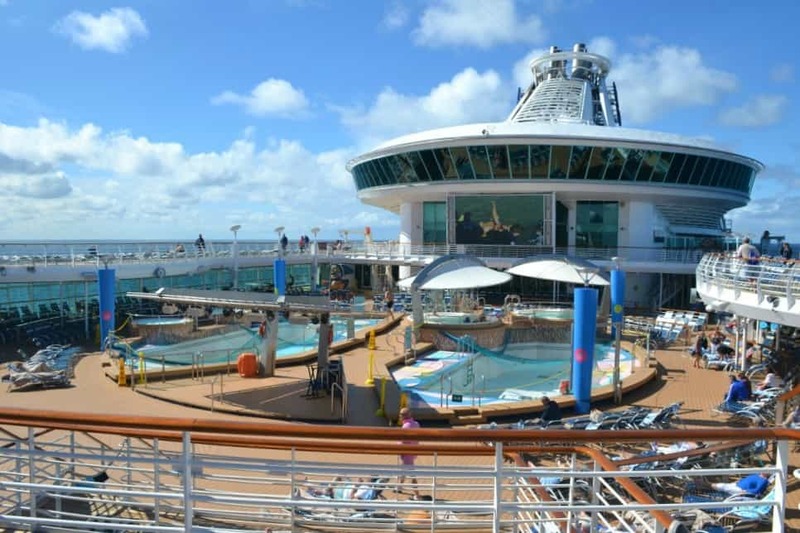 So, which Royal Caribbean Ship is best for families? I’ve got my eye on the new Symphony of the Seas after reading rave reviews! Disclosure: my girls and I had a complimentary cruise in exchange for an honest review of the Back to the 80s festival at sea. I wasn’t asked to review the ship but thought readers might like to hear about it. All opinions and images are my own. Really interesting to get a proper review of one of the older ships as it’s usually the newer flash ones which get the attention (understandably) – qnd it’s amazing how cruising has changed in 16 years. 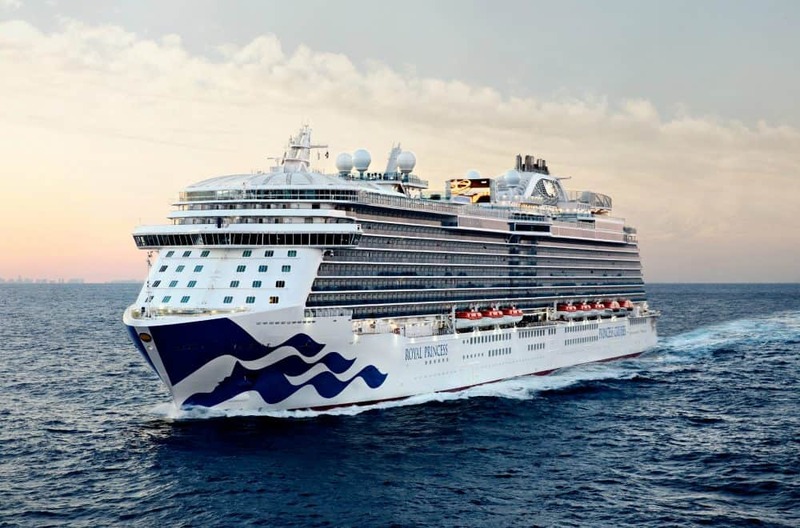 I’ve only ever done a day trip on board Royal Caribbean with my daughter (though I have cruised with them without her) so there are definitely a few things to tempt me back. This cruise ship looks fabulous! It has great amenities and kid-friendly facilities. We cruise regularly with our 10 year old daughter. Our last cruise was on the Navigator, there was enough activity for those 11 days. As a parent I’ve found the best times were the times we spent together doing family activities. There’s no H2O zone on the Navigator but they provide life vest for young swimmers around the pool area.